diptyque L’Eau Du Trente-Duatre is the scent for Spring 2013, this sophisticated and versatile new scent is a reminder of diptyque very first fragrance: l’Eau. A lively interpretation of the original 34 boulevard saint germain, the new fragrance captures the essence of the original boutique, during the time when the weather changes and the greenest notes take over from the warmer and more sensual notes of 34 boulevard saint germain. “Men and women of all ages will be able to associate themselves with this new scent. This time, the aromatic notes, rosemary, clove and blackcurrant play a muted tune. Thanks to the citrus fruits, L’Eau Du Trente-Duatre is comfortable and timeless,” states Olivier Pescheux. The top notes include a flight of bitter orange, verbena, lemon, grapefruit, and lavender, spiced up with a dash of nutmeg, juniper berries and cinnamon tree leaves. A green note green note of birch tree leaf, from Philosykos adds a lively freshness to the fragrance. The heart is structured around Egyptian geranium, voluptuous tuberose on a base of Virginian cedarwood, patchouli, a splash of incense and Spanish cist. Lastly, bright musks balance the fragrance with just the right amount of mellowness and sensuality. 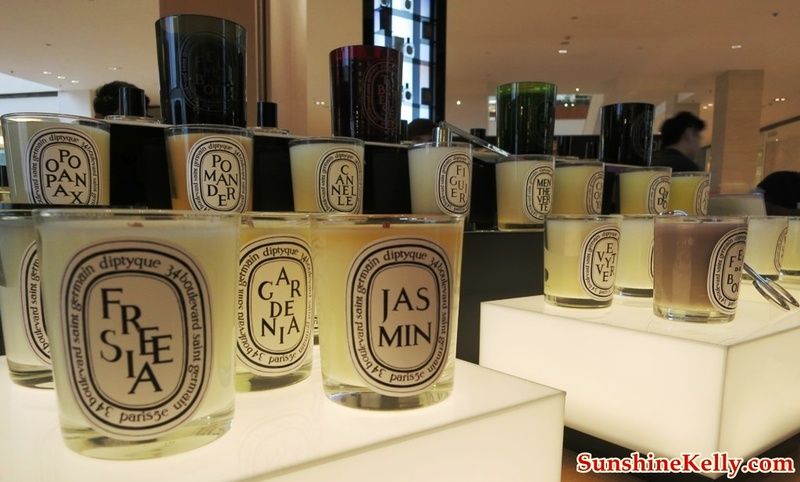 Diptyque was first introduced at a pop-up store in Bangsar Village II and Isetan KLCC in March 2012. 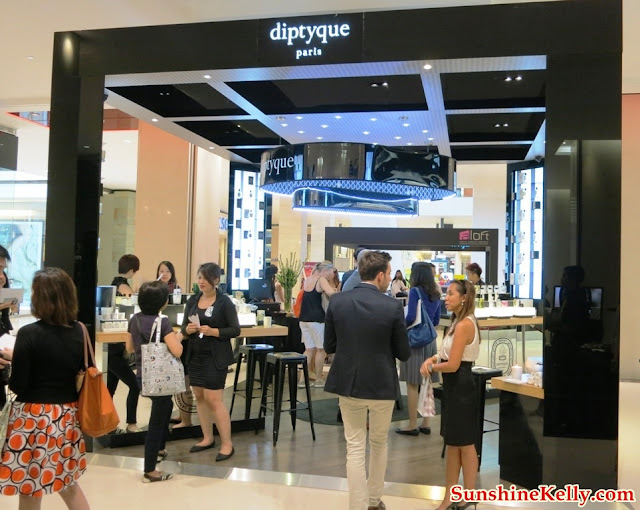 Following the success of the 2 outlets, Diptyque later found its 3rd home at Pavilion the Fashion Avenue. Diptyque at Pavilion is the first standalone boutique in South-East Asia and celebrated its official grand opening last month. The opening was graced by the Ambassador of France in Malaysia, Her Excellency Mme Martine Dorance. 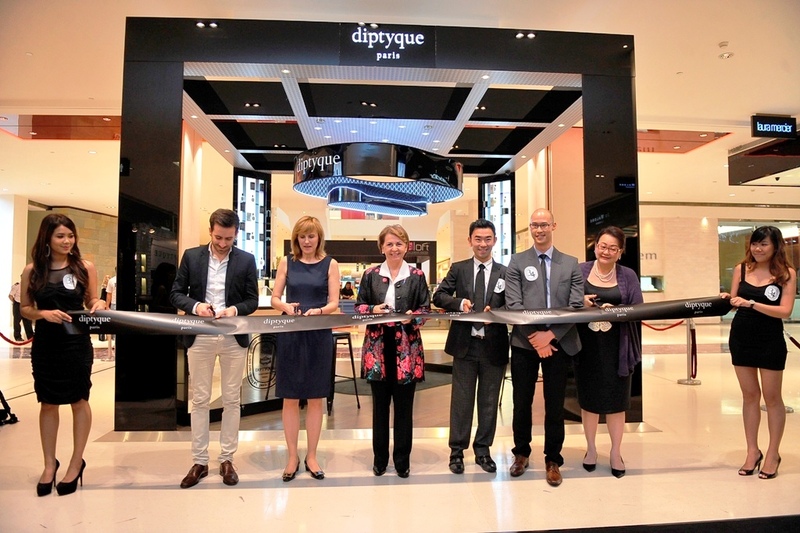 Her Excellency was accompanied by Mme Sophie LAMBERT, diptyque Paris Area Manager Asia-Oceana, Stanislas LEBERT, Esplanade Avenue Sdn Bhd Managing Director (diptyque Malaysia sole-distributor) Mr Ken Lim, Esplanade Avenue Sdn Bhd Business Development Manager, Mr Hubert W. Hoi & Pavilion Chief Executive Officer (Retail) Ms Joyce Yap. The event hall was decorated and adorned with White Tuberouse. “l’eau du 34” themed doll house and covered with 34 scented candles also added a French twist to the theme.